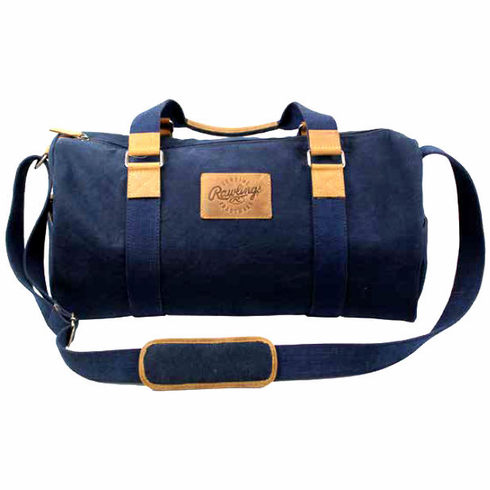 Canvas Collection Duffle Bag by Rawlings. Cotton canvas with glove leather and cotton web trim. Rawlings embossed leather logo on exterior, classic Rawlings red patch logo on interior. Measures appx. 19" x 9.5" x 7". Side pockets on exterior with snap closure. Roomy interior has back zipper compartment.